A tree sprouts. 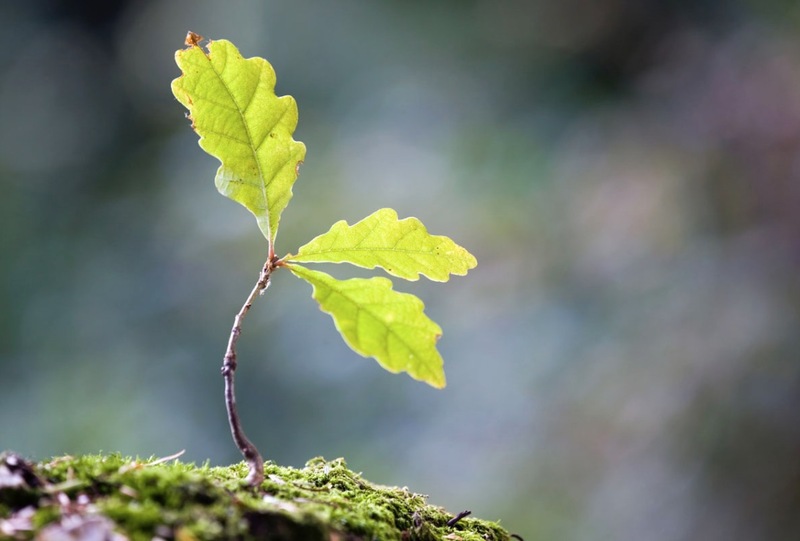 Little by little branches form and strength occurs. Over the years God waters it with His mighty hand and He knows this is the tree that will be made into a cross for His Son. Yet He still waters it. He grows it up big and strong only to be chopped down to humiliate and torment His Son on that fateful day. And He knows this! And Christ knows it, too. I wonder if the cross builder knew that he was fashioning this for the King of Kings. I wonder what Simon of Cyrene was thinking when he carried the cross behind Jesus. The criminals on either side; what were they thinking? A Christian contemporary group called Third Day wrote a profound song called “Thief”. If you aren’t familiar with it you really need to listen to it, as it will impact you in a way you won’t forget. As you celebrate the Risen King, remember all the thoughts that must have gone through people’s minds. Remember what was done for you and pass on the Greatest Story ever told with all your abilities! I love when Easter is in the month of April. March seems too early to celebrate Resurrection Life formally. (I know we need to celebrate Resurrection Life all the time.) But April seems more appropriate than March. Spring is bursting forth, trees are budding, flowers are blooming, the weather is warmer it just seems like April and Easter is a good fit and celebrating just feels right. 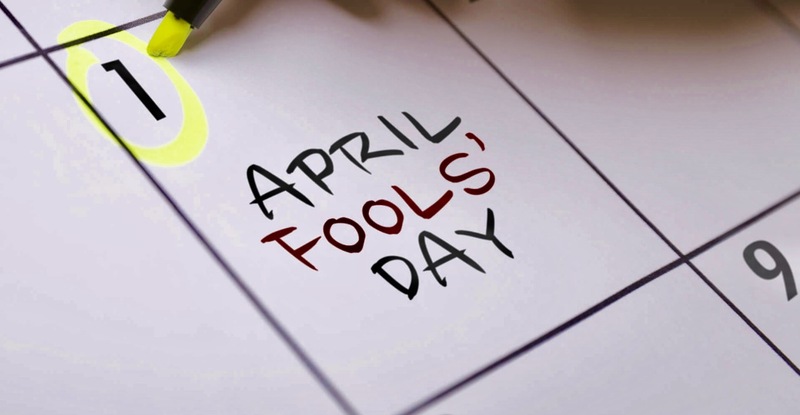 April, however, has one little thing hanging over its head, “April Fool’s Day”. What a way to begin a month. Let’s make something out of it, okay? The book of Proverbs often talks about the foolishness of rejecting God, rejecting His wisdom, and His guidance. So, let’s not be fools. Let’s embrace all that Christ has for us. Let’s search for, run after, hold clear the precious truths and guidance of the Holy Spirit. May we allow our God to pour into us the Resurrection Life He has freely given to us. May we celebrate a the newness of life that April has to offer, both physically and spiritually. Looking forward to celebrating Easter with you! I have to say last Sunday, Easter Sunday was glorious – what a day! From the very start you could sense the spirit of Resurrection Sunday. The day began with a wonderful time of food and fellowship. I was watching and listening as a roomful of saints enjoyed our annual Easter breakfast. The room was filled with the blessed noise of excited conversation. From the breakfast we moved to an amazing time of worship. Our youth group kicked things off with a skit that was very appropriate for the day. God job guys! Then Pastor Susan started off worship with “O Happy Day” – what a song to kick off worship. Our time before the throne was amazing. We did something different this year, and had a children’s sermon. I love our kids. They were so attentive. It’s such a blessing to watch our kid’s faces as they learn about Jesus. After worship and The Story of the Empty Tomb, our kids went outside for an Easter egg hunt. They “hunted” over I,000 eggs. What a joy to watch the children laugh and run around, and then excitedly discover a hidden egg. A big thank you to Matt & Amy Eggerton and our youth group, with a few of our adults thrown in, for making our Easter egg hunt a success. “Blessed be the God and Father of our Lord Jesus Christ! According to His great mercy, He has caused us to be born again to a living hope through the resurrection of Jesus Christ from the dead” (1 Peter 2:3 ESV). I didn’t get it. What I did get was an Easter basket filled with candy. That was nice . . . but I still didn’t get it. I still didn’t really appreciate the gigantic importance of what Easter is all about. Last week I received a text message from my mom updating me about some medical news she had heard from her doctor. Her most recent blood work revealed that for now, she wouldn’t need to get the chemotherapy and radiation that the doctor had originally planned for her to get. After receiving her results, my mother said that it took her a few days to let the news of hope sink in. She had been planning for a hopeless future. The doctor’s words changed her whole perspective on what was possible for her. That is a perfect illustration of what Easter Is all about. Where there was once death and hopelessness, there is now a Living Hope! Jesus’ resurrection means that the grave has been overcome. The resurrection means that sin has lost it’s power over us! This Easter, I challenge you to allow the Lord to breathe hope into the areas of your life that feel hopeless. The victory is won. Jesus has risen from the dead! The Bible tells what our sin cost Jesus. Physical Pain. During the hours leading up to His crucifixion. Jesus was mocked, beaten, and humiliated. In His weakened state, He was forced to carry on His shoulders the instrument of His death — the cross. Then He was nailed to it and hoisted up to die an excruciating death. Man’s Sin. Jesus lived a perfect life on earth. But at the cross, the Father placed all of mankind’s sins upon the Savior. There, Christ experienced the fullness of our transgressions, guilt, and shame. “God made Him who had no sin to be sin for us, so that in Him we might become the righteousness of God” (2 Cor 5:21). Abandonment. In the final hours, Jesus was separated from His Father, their fellowship broken for the only time since eternity past. Our sin became the barrier that kept them apart until Jesus Christ’s work of atonement was finished. Divine Judgment. God’s wrath was poured out on Jesus because of Man’s sin. Christ experienced the judgment we deserved. Our Savior suffered greatly on our behalf, shedding His blood so we might become part of God’s family. He calls us to a life of sacrificial service — doing the Father’s work and living to please Him. In light of what our salvation cost, how can we do anything less? One evening as I strolled through the park, I felt the excitement of spring. As I inhaled a deep breath, I could smell the beginnings of a new season. The voices of the children echoed between the houses. The streets were busy and alive. I saw the growth of a daffodil peeking through the soil. Come on green grass and trees!! The people were smiling, laughing and singing, soaking in the warm temperatures. My inner being was yearning for another 60-70 degree day. The anticipation of spring; how exciting! The Lenten season is as exciting as springtime. A time of preparation that comes before the blessed day, Easter. When I attend the Lenten services I experience a springtime walk. The people are singing praises to Our Lord Jesus Christ and their smiles light up the room as we fellowship with coffee and cookies. I’m excited to attend a different church every week to experience their worship and listen to a pastor that is not my own. My heart touched by the Word of God; a word from a Methodist, Presbyterian, or a Nazarene, it doesn’t matter because we are untied as one under Christ. My faith grows and I yearn for more of Christ. Come and join in the excitement, and anticipate the day Our Savior rose from the grave. It is a breath of fresh air and growth. Let us soak up the seasons and enjoy what Our Heavenly Father has blessed us with. We celebrate this glorious morning because we believe that Jesus is not dead. HE IS ALIVE! With that wonderful truth fixed in our hearts and minds, we have certain privileges and responsibilities as those who claim Christ as Lord. Because He died then conquered the grave. person He has destined me to be. Because He lives: I do not need to fear death. awaits me after life on this earth ends. Jesus suffered and died on the cross for my sins, and then after being in the grave three days, He arose victorious over death and hell. I can live in certainty that the same power that raised Christ from the dead will quicken my mortal body while living here on earth and will also raise me up from the grave to celebrate eternal life forevermore with Him. Bless the Lord. Oh My Soul!